119 mins. Rated R for strong violence and language throughout, sexual references and brief drug material. 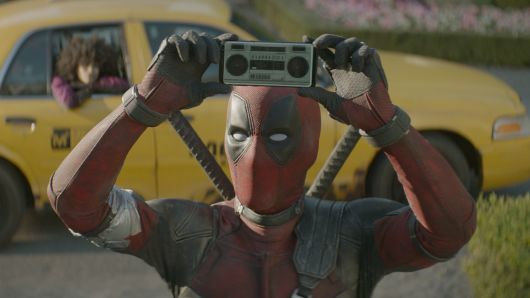 When Deadpool hit cinemas back in 2016, it was something of a surprise juggernaut, claiming a ton of box office and terrific critical reviews in the process, something that I think shocked just about everyone from the cast, crew and studio as well as fans and filmgoers everywhere. That’s not to say that they didn’t work hard to get the film as right as possible, but the original Deadpool ends up on many lists of Best Superhero Films of all Time just two years after coming out. People loved it. So Deadpool 2 had a lot to live up to. With the loss of original director Tim Miller, David Leitch (Atomic Blonde) stepped in and took over. With all that, how did the movie end up? 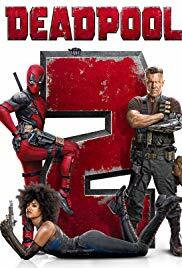 Rest assured that Deadpool 2, despite horrific deplorable violence and naughty words, is a family movie. Kind of. Wade Wilson (Ryan Reynolds, Buried, The Hitman’s Bodyguard) has been busy taking out the baddies every day and spending his nights with the love of his life, Vanessa (Morena Baccarin, Serenity, TV’s Gotham). But when Wade’s life drastically changes, he is forced to search for meaning. A time-traveling soldier named Cable (Josh Brolin, No Country for Old Men, Avengers: Infinity War) comes back from the future to kill a kid who calls himself Firefist (Julian Dennison, Hunt for the Wilderpeople, Paper Planes), Wade assembles a team of heroes, the X-Force, to stop him. 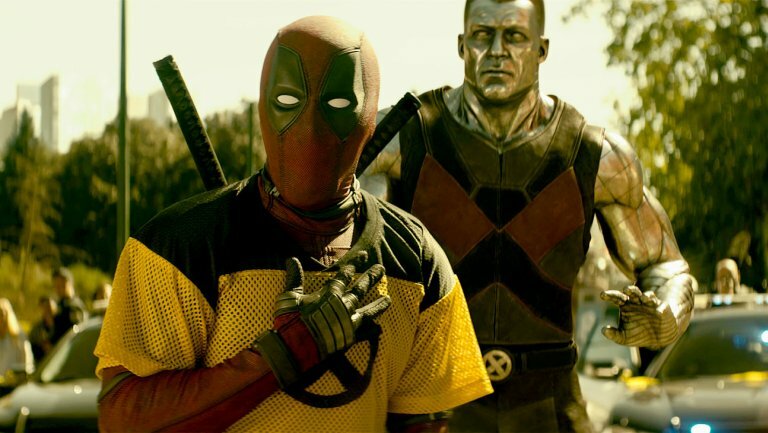 There’s so much happening in Deadpool 2 that its pacing slows down at times and not every sequence works, but the biggest problem of the film comes from its inciting incident. There’s a lot of time in the original Deadpool devoted to Wade’s driving force and motivation. In fact, it’s one of the areas where the original film even avoids lampooning itself. There’s some events early on in Deadpool 2 that essentially throw the whole first film out in some ways, cheapening it. Now, without getting spoilery, it’s tough to dive too much in. What I will say is that these issues lessen on multiple viewings, especially so in the Super-Duper Cut of the film, but on initial viewing, it’s a little rockier of a film. The new additions to the cast, especially Brolin’s Cable and Zazie Beetz (Geostorm, Slice) as the lucky mutant Domino, steal a lot of scenes. Cable gets to drive the mythology really well, and I was someone who wasn’t really for Brolin in the role. Don’t get me wrong, I thought he’d be fine, but he wasn’t my first choice. I’m happy to say that I was wrong and Brolin was perfect for both the role and the chemistry he has with the others in the film. Domino is another character that I didn’t really know would work until I saw the film. From the moment she appears, though, Beetz’s portrayal as an almost sisterly ball-breaking of Wade is phenomenal. Her action sequences are so much fun to watch as well, way better than I had anticipated. We should talk about the X-Force stuff. 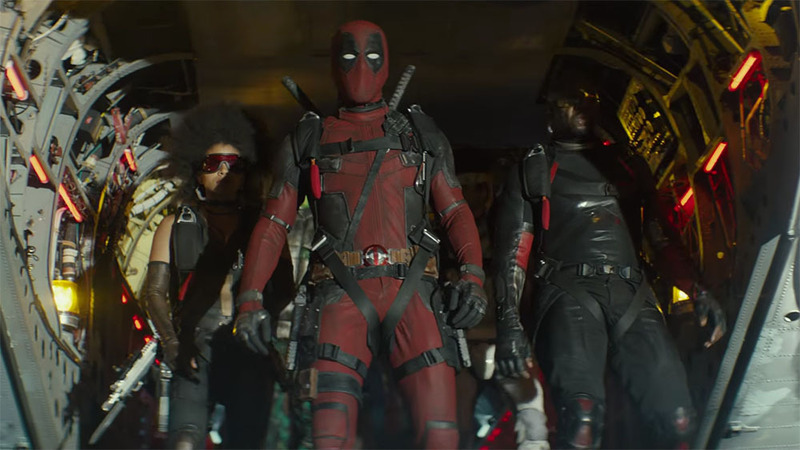 I went into this movie knowing that the next adventure for Deadpool (not counting Once Upon a Deadpool) would be X-Force, and there was probably going to be some buildup in this film for it, but the way X-Force is used is amazing and unexpected. Wade even hires a normal man named Peter who has no special powers but he does have a damned good LinkedIn page (which actually exists, by the way) is really funny. The style of the film is a little less-restrained than the original (if the first film could be called restrained) but the usage of little bits like bringing in Celine Dion to sing the theme song “Ashes” and treating the opening of the film like a James Bond film is really special and memorable. The most important aspect of the Deadpool films has been the laughter and comedy and these are areas where Leitch and Reynolds pull the most out of the screenplay. I think Deadpool 2 has more flaws than the first film. There’s some story choices and some tonal choices that don’t work as well as I would have liked. The ending is a little underwhelming and predictable. That’s true, but the rest of the film is exemplary. The way it subverts expectations is a lot of fun, and the chemistry between Reynolds, Brolin, and Beetz is the central win of the film. If you missed Deadpool 2 earlier this year, give it a go. It’s a worthy sequel. For my review of Gavin Hood’s X-Men Origins: Wolverine, click here. For my review of Matthew Vaughn’s X-Men: First Class, click here. For my review of Brett Ratner’s X-Men: The Last Stand, click here. For my review of James Mangold’s The Wolverine, click here. For my review of Tim Miller’s Deadpool, click here. For my review of James Mangold’s Logan, click here. For my review of David Leitch’s Atomic Blonde, click here. 128 mins. Rated PG-13 for intense sequences of science-fiction violence and peril. I think a lot of people would say, when Jurassic World came out back in 2015, that it was the best film in the series since the original. That may be true. What’s also true is that it was the safest choice to make by following very closely the trajectory of the original film. That’s not really the case with Jurassic World: Fallen Kingdom. Fallen Kingdom picks up some time after the events of Jurassic World. The park is closed and deserted. Dinosaurs roam free. But people haven’t forgotten about Isla Nublar. 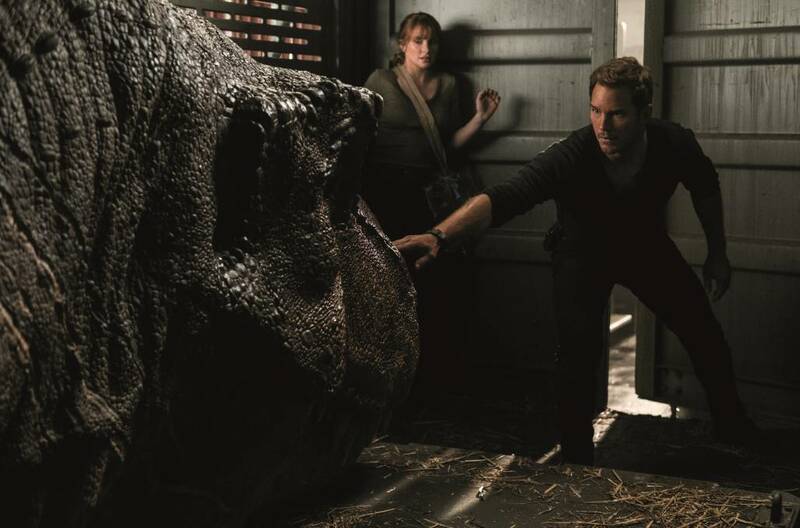 There are groups of dinosaur rights activists, one of which is led by Claire Dearing (Bryce Dallas Howard, The Help, Gold) who are trying to protect these precious species. When Claire is given the opportunity to work with a team on the island to save these creatures from certain destruction at the hands of the island’s no-longer-dormant volcano, which is set to erupt, she goes to Owen Grady (Chris Pratt, Guardians of the Galaxy, The Lego Movie) for help. With a team assembled, they head back to the island in hopes of saving these creatures, but there’s a much more nefarious reason for this expedition. Fallen Kingdom got a lot of hate this year for a film that performed so well at the box office. I got married the week it was released so I didn’t actually catch it until it hit home video. This means I was able to temper my expectations, which were high considering that it was directed by J.A. Bayona (The Impossible, A Monster Calls), a highly-skilled director with a particularly good eye for horror. What’s great about the choice of Bayona as director is what he brings to the second half of the film. I won’t delve into spoilery territories but there are elements to the back half that are reminiscent of a horror film. And this is really a film of two halves. The first half of Fallen Kingdom boils down to a standard sequel to Jurassic World. In fact, it’s a plot point hinted at since the original Jurassic Park novel by Michael Crichton that a dormant volcano lies at the center of the island. The second half of the film is ballsy and ambitious. Does the second half work? Some of it did for me. I’ve heard criticisms about the final moments of the film and yes, I agree, they are infuriating for how they play out, but I get it given the character development we’ve seen from these people over the course of two films. The biggest issue that rises up from me is some of the timing inconsistencies in the film. 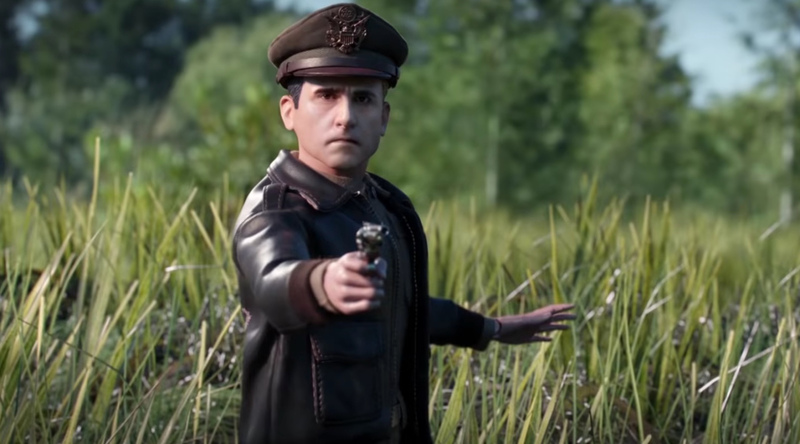 The opening literally has characters talking about a dinosaur that should be dead by now that are not, and then there are moments brought up later on that do not confirm this timeline. Even co-screenwriter Colin Trevorrow’s answer to the mystery of how much time has passed makes it seem like he really didn’t put much thought or care into the decision of setting the film at a specific distance from Jurassic World. I think that Fallen Kingdom puts the characters from Jurassic World to better use in a more interesting narrative. Claire is more accessible and, in a lot of ways, this is more her movie whereas the previous film is more Owen-centric. 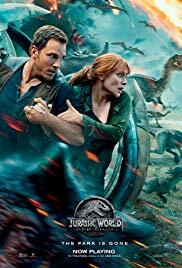 Overall, Jurassic World: Fallen Kingdom is a really ambitious installment of the franchise, and while I don’t think it really works as well as it should, I found myself engaged with the plot of both halves of the film, and I’m shocked that it was allowed to be made at all. 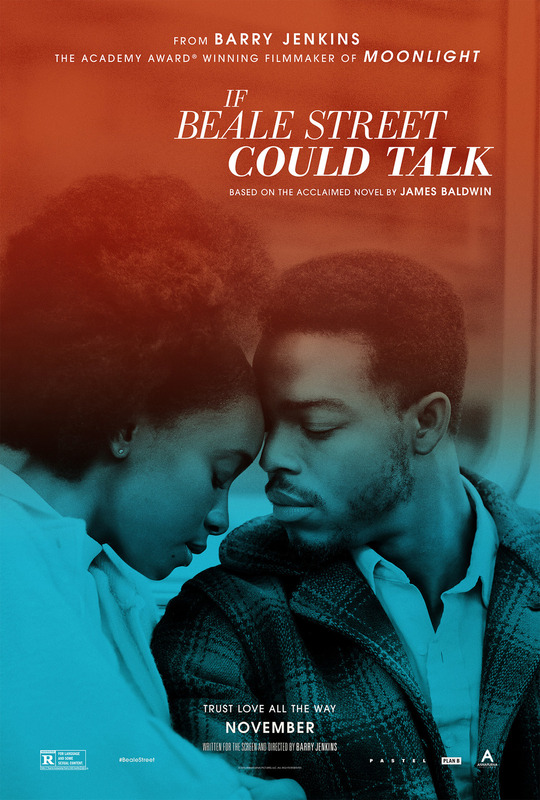 If you haven’t seen this one yet, don’t listen to the naysayers and give it a go. I enjoyed it more than I expected to, and it makes me very excited for where the series will go next. 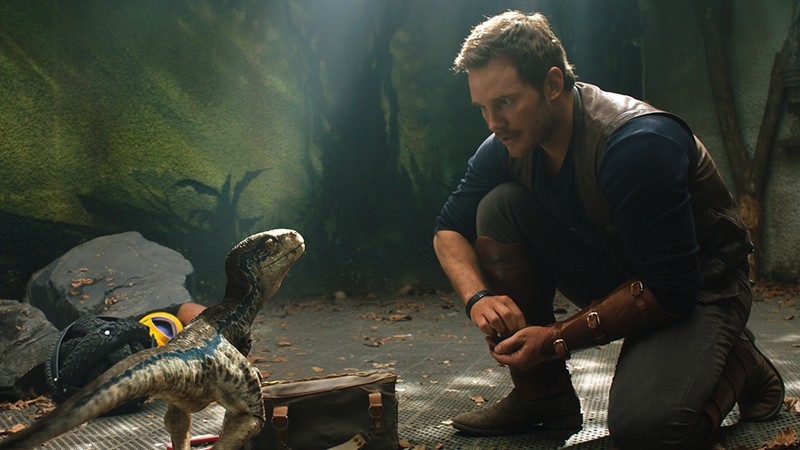 For my review of Colin Trevorrow’s Jurassic World, click here. So the big craziness about James Gunn’s ousting from Marvel is still a little fresh on my wounds, but his script for Guardians of the Galaxy Vol. 3 has circled around a bit and, reportedly, it’s making people cry. 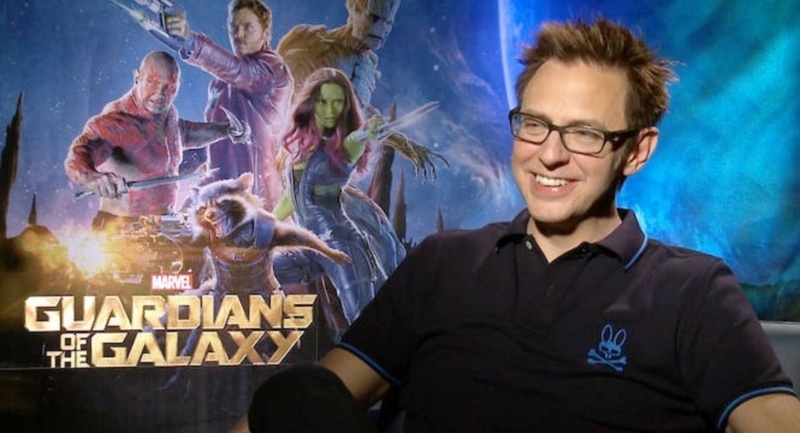 As of right now, Gunn’s script is still a part of the plan. 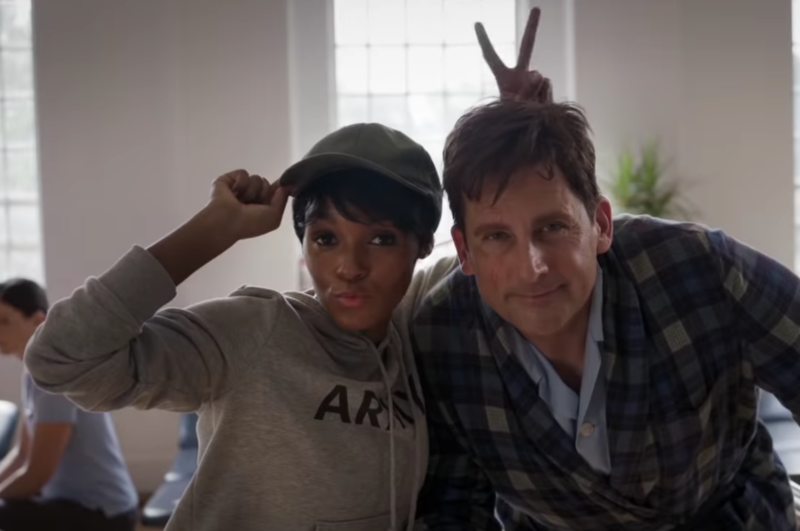 Even though he will no longer direct the highly anticipated follow-up, his screenplay has been praised by the cast and those who have read it. The news of actual crying while reading is interesting, though. 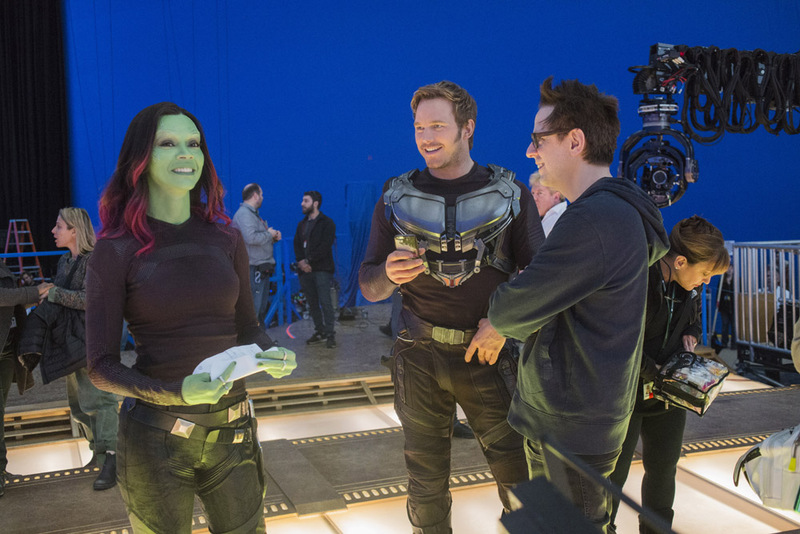 I would assume that Kevin Feige, who was seemingly against the firing of Gunn, will be very stuck to keeping this screenplay as part of his overall plan for the future of the MCU, but there is still so much in the air and without a replacement director nailed down, the actual possibility exists that we may not see another Guardians of the Galaxy soon if ever. Now, it’s important to take this in its context because it’s really non-news. Just about any story or any movie has the ability to make someone cry. It could literally mean anything. And crying does not equate to good. That being said, especially following what happened in Avengers: Infinity War, Guardians of the Galaxy Vol. 3 is a pretty exciting movie, even if we don’t get the director we deserve. This non-news still excites me a lot more for the film. So what do you think? Are you bringing Kleenex to the premiere of GotG3? Or do you even think the movie will happen at this point? Let me know/Drop a comment below! It seems like the Dora the Explorer film news is just getting stranger. 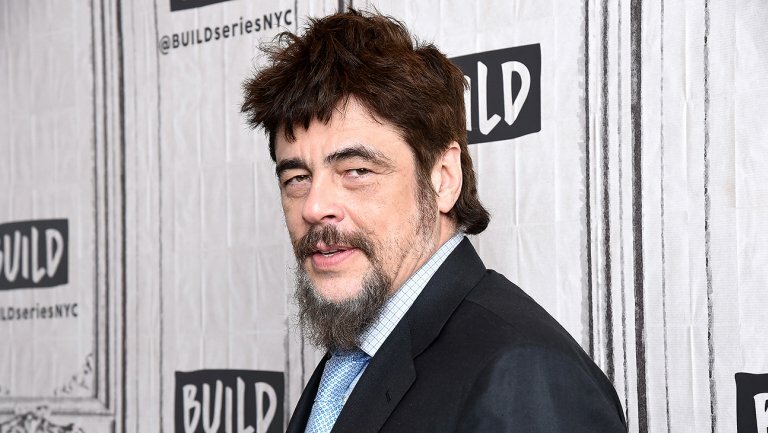 Now, veteran actor Benicio del Toro has signed on to voice Swiper the Fox in the live-action adaptation of the hit cartoon series. The movie, which stars Isabella Moner of Transformers: The Last Knight fame, has wrapped production but Swiper is expected to be all CGI. Dora the Explorer also has Michael Pena and Eva Longoria in its cast and is directed by James Bobin from a screenplay by Nicholas Stoller. Bobin directed The Muppets and Alice Through the Looking Glass for Disney, while Stoller wrote the screenplay for the former. 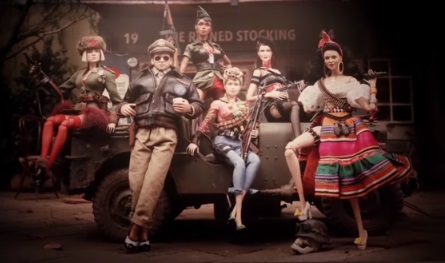 The film is expected to be released August 2, 2019. Now, I should preface by saying I’ve never seen a single episode of Dora the Explorer, though I understand the structure and framework of the show, but the more talent joining up with the film is only a good sign. I’m a fan of Bobin and Stoller’s work behind the camera and the great cast in front of it only sounds better with del Toro’s addition. From what I understand, Swiper is the villain of the film so having a villainous voice could work. What’s concerning me, though, is that this film is sounding more and more Bay-ed as we go on. There was a now-debunked rumor that Michael Bay was heavily involved in production here just like with his Transformers and Teenage Mutant Ninja Turtles, and both of those franchises are not favoring too well at the moment (though Bumblebee may change that for the Transformers). All I’m saying is that Paramount Pictures is pushing this movie down a strange avenue. Hopefully, I’m wrong, and the addition of del Toro still sends good vibes to the Dora the Explorer movie. I’m waiting on the first trailer for a better indicator of where we stand with this one, so I’ll keep you posted. But what do you think? Is Benicio del Toro the right choice to voice Swiper? Where do you stand on the live-action Dora the Explorer movie? Let me know/Drop a comment below! For the first time, though, these short lists are all hitting the internet on one day: Monday, December 17th. 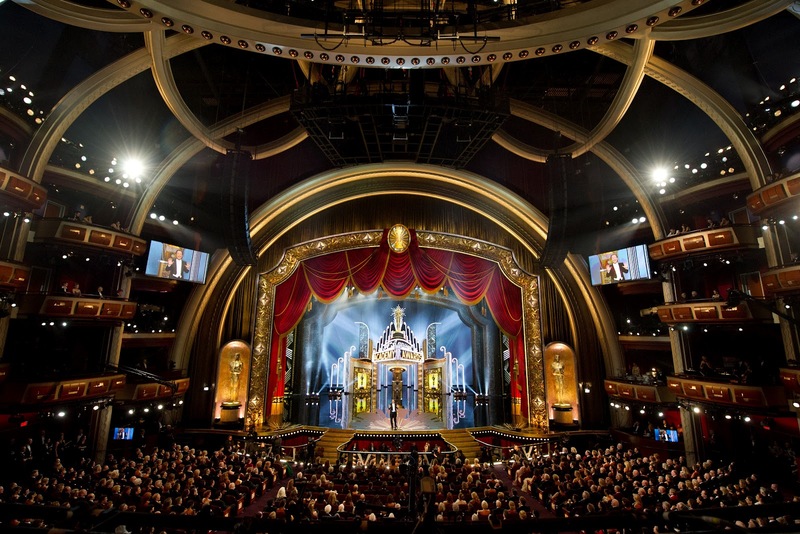 So on Monday, we will know the names of roughly 101 individual films vying for those nominations. There are pros and cons to each strategy. This way kind of muddles all the commentary for these potential winners and doesn’t give enough time for analysis of these lists and their films. For me, however, it kind of makes it like a holiday of its own. I’ll be going through the lists on Monday and checking to see which films I have screeners for and which ones I’ll have to hunt to find. 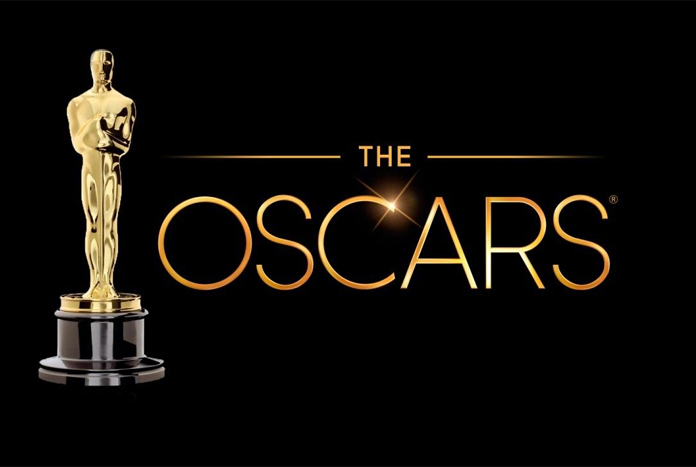 I like checking out as many potential Oscar films as possible before the big night so that my heart and soul are as much in the awards as possible. So I’m excited for Monday. It’s like opening a gift up before the holiday. I’ll be paging through lists up to my eyeballs, and I’ll keep you posted as I uncover anything new. Deadline is reporting that Knives Out, the new original film from director Rian Johnson (The Last Jedi), is slated for release on November 27, 2019. 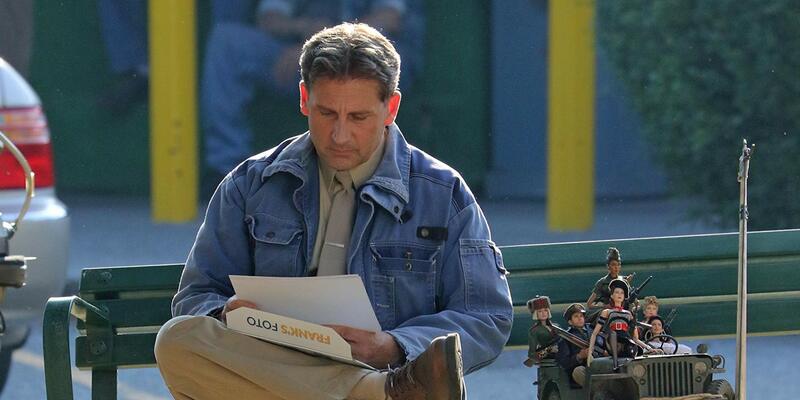 Lionsgate has popped the film right into Thanksgiving season in a nice, awards-friendly place. 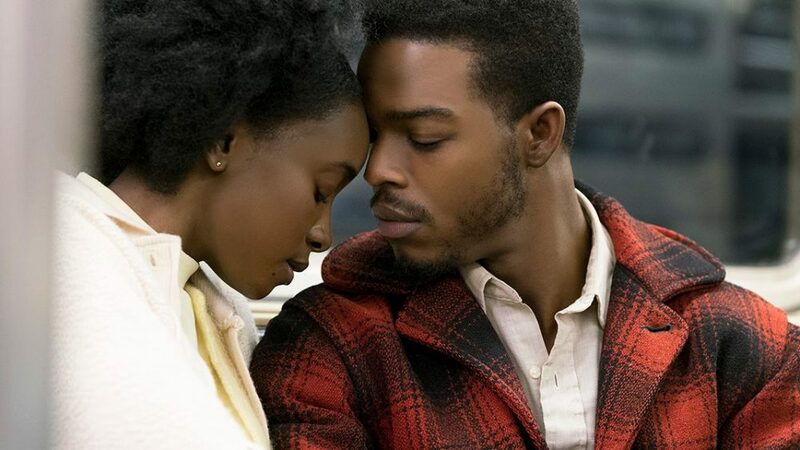 The film was also written by Johnson and the cast is incredible, featuring Daniel Craig, Chris Evans, Michael Shannon, Lakeith Stanfield, Jamie Lee Curtis, Toni Collette, Christopher Plummer, and Don Johnson among others. Craig’s joining the principal cast was made possible by the Bond 25 switcheroo when Danny Boyle left the project and Cary Fukunaga stepped in. For me, this news is incredible. While I wasn’t the biggest fan of Johnson’s Looper, I admire the original story and the captivating structure. I also love The Last Jedi, and you can hate on it all you want, but he made a damn good Star Wars film. That’s what excites me here. Johnson gets to play in the sandbox with some very talented performers. I know very little about Knives Out but I really don’t feel like I need to. So what do you think? Are you interested in a new mystery movie from Rian Johnson? 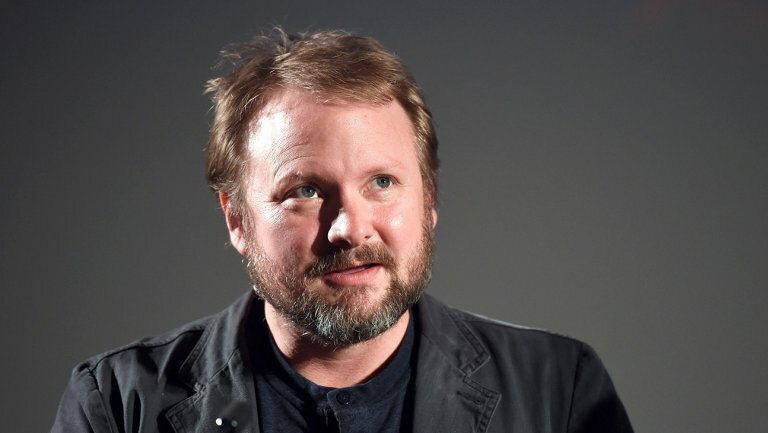 What’s your favorite Rian Johnson film? Let me know/Drop a comment below! 149 mins. Rated PG-13 for intense sequences of sci-fi violence and action throughout, language and some crude references. Well, it happened. I almost cannot believe it, but it happened. After 10 years and numerous storylines, everything in the Marvel Cinematic Universe has culminated in this. Let me say that word again: culminated. I like that word. So a lot has happened. I’ll try to sum it up as quick as I can. 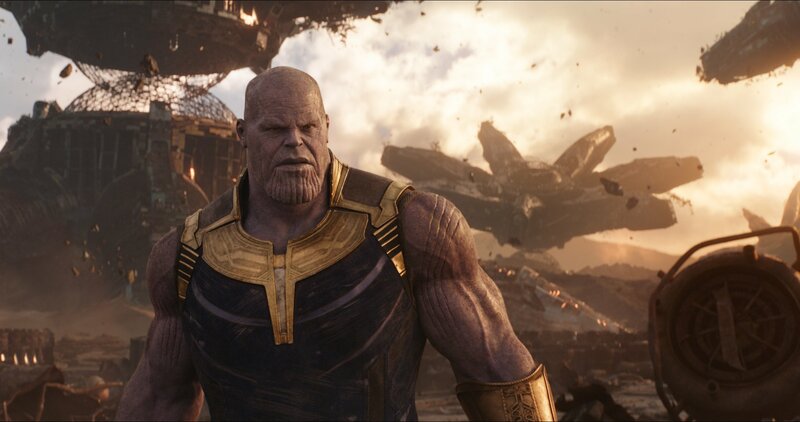 Thanos (Josh Brolin, No Country for Old Men, Sicario: Day of the Soldado) has one goal driving his very being: to collect all six Infinity Stones. He already has one, but to get the others, he will have to go through the Avengers, Earth’s Mightiest Heroes. The Hulk (Mark Ruffalo, Spotlight, Now You See Me 2) and Thor (Chris Hemsworth, Snow White and the Huntsman, 12 Strong) are quickly dispatched, Thanos sends his minions, The Black Order, to Earth to search for the remaining Earthbound stones while he finds himself facing off with his daughter Gamora (Zoe Saldana, Avatar, My Little Pony: The Movie). Now, it’s a fight to protect the stones from the increasingly more dangerous Thanos as the Avengers team up with the Guardians of the Galaxy, Doctor Strange (Benedict Cumberbatch, The Imitation Game, The Child in Time), Spider-Man (Tom Holland, The Impossible, Pilgrimage), Black Panther (Chadwick Boseman, 42, Marshall), and others, but do they even stand a chance? 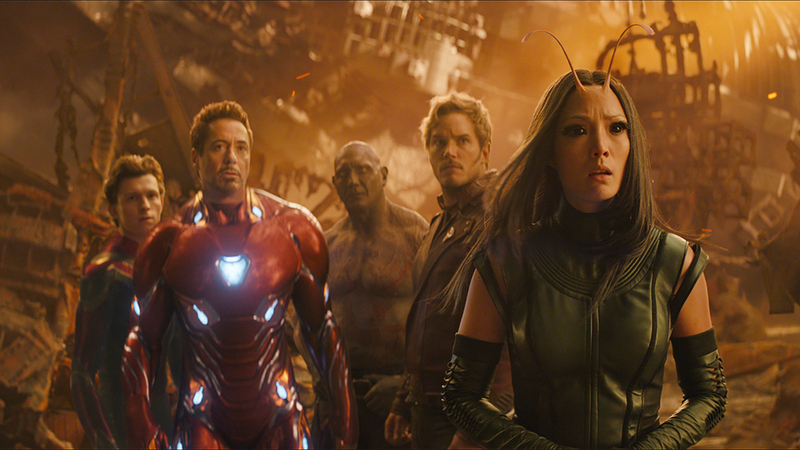 Avengers: Infinity War almost needs to be looked at differently than other films. My goal here and in all my reviews is to look at each within the context that it exists. When I watch a horror film, I look to be scared, thrilled, or shocked. When I watch a comedy, I look to laugh or smile. When I watch a Uwe Boll film, I look to hate myself at the end. Context. So Avengers: Infinity War needs to be looked at on its own terms as well as how the film changes and shapes the characters in this universe. It’s a season finale of sorts, and it does an incredible job of juggling so many character arcs and stories that have existed within the confines of ten years of storytelling. Let’s start with the most important arc in the film: Thanos’s. 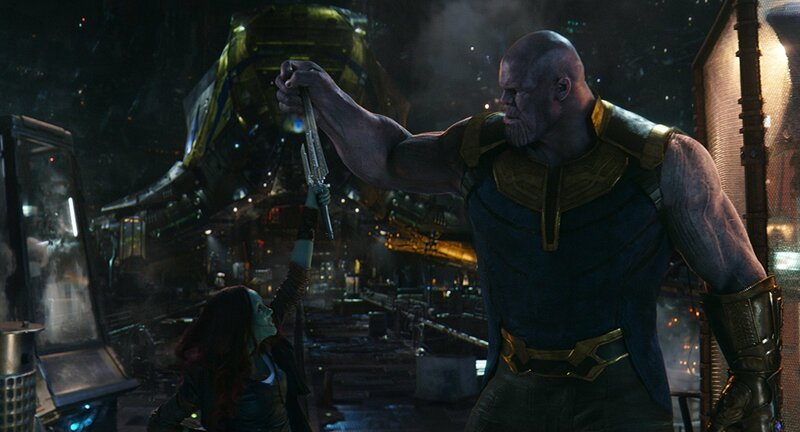 Josh Brolin does the performance capture justice in his work as the Mad Titan. We spend more time with Brolin’s character than anyone else in the film, and for that reason, this is very much Thanos’s film. He’s the protagonist. He is the one with the goal who initiates the action, and our heroes are only trying to stop that mission. He is a believably insane tyrant who moves from planet to planet wiping half of the population out in order to restore order. It’s a crazy idea but he believes it wholeheartedly which makes him all the more frightening. He’s well-written, thoughtful and menacing. 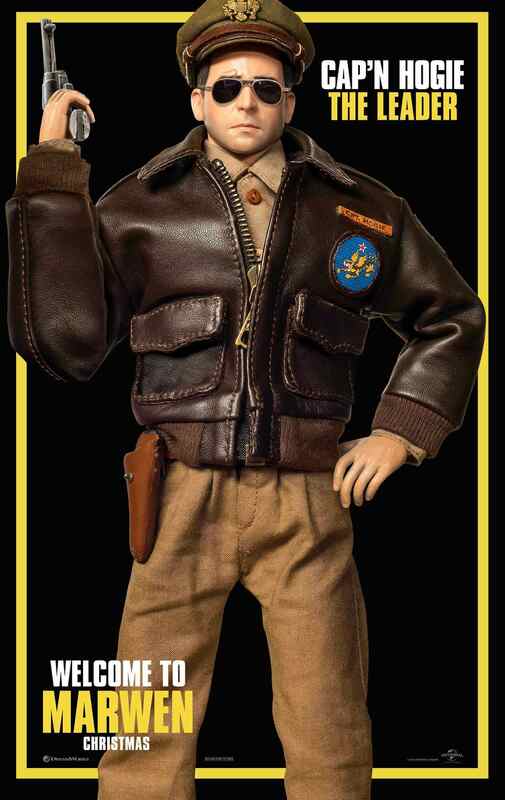 There are of course a few similarities to Kurtz from Apocalypse Now or its source novel Heart of Darkness. It’s mostly surface level but it also works pretty well and helped me to understand how his mental faculties would lead him to such a sinister mission. The rest of the cast get mixed amounts of time, most of them only about 10 minutes onscreen with the biggest characters getting closer to 30 minutes. Thor has one of the better arcs, especially following the opening of the film. He has vengeance in his heart and a plan to stop Thanos. He joins up with Rocket Racoon and Groot to accomplish his mission and it’s an enjoyable and important set of sequences. I would have liked to see a bit more emotion from Hemsworth as the film goes on but he kind of falls back to comedy as a backup. Mark Ruffalo also gets a lot of time with his journey, especially considering that he spends a lot of the film not being the Hulk. 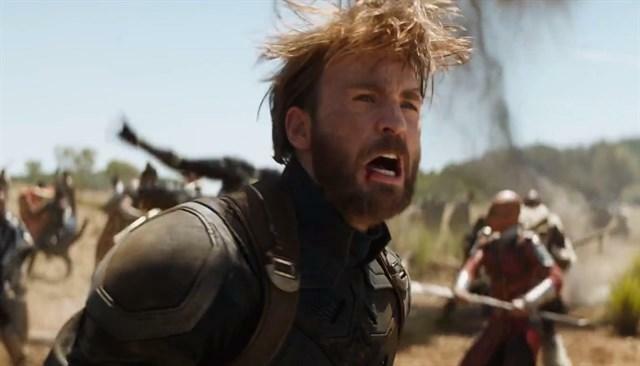 We see a side of both of them that I’m not sure we’ve seen before, and it’s the first time in a while that we see Banner having to deal with not turning into the Hulk. It’s also nice to give some more time to Gamora, who has gotten some development in the Guardians of the Galaxy films but always as a companion to the others. Now, she has a really interesting relationship with father Thanos. I just wish more time would have been given to further develop the two. Directors Anthony and Joe Russo (You, Me, and Dupree, Welcome to Collinwood) and screenwriters Christopher Markus and Stephen McFeely (The Chronicles of Narnia: The Lion, the Witch, and the Wardrobe, Pain & Gain) developed what was later termed as strange alchemy, the forcing together of characters that don’t usually spend any time together. This idea works really well and is a large portion of what makes The Avengers films so fun and so anticipated. It’s what I’m looking forward to more than anything else for next year’s Avengers: Endgame. The Russos did a tremendous job of weaving all of these story threads together while never once sacrificing the flavor that comes with each film. I love that they devoted time to ensure their film would not be ruined for viewers who were not there on opening night. Each of the separated groups further the problem that this team works best together but now they are caught up in different parts just trying to plug a leak, essentially, and these directors and screenwriters never let the story dry up or get stale. 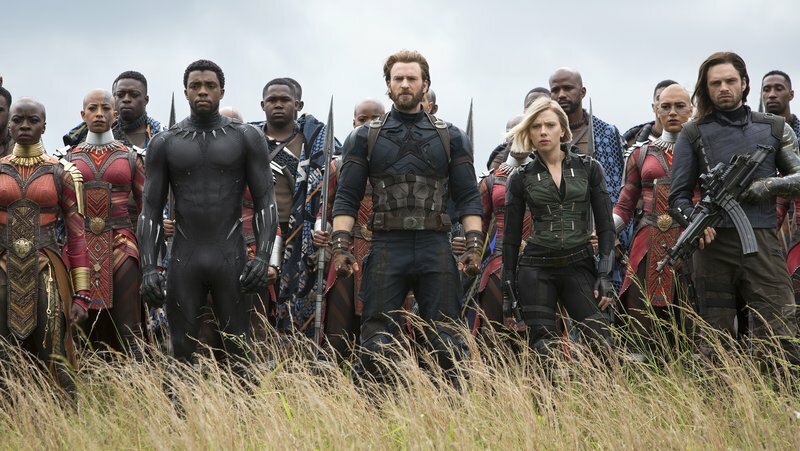 Avengers: Infinity War is not a perfect movie. 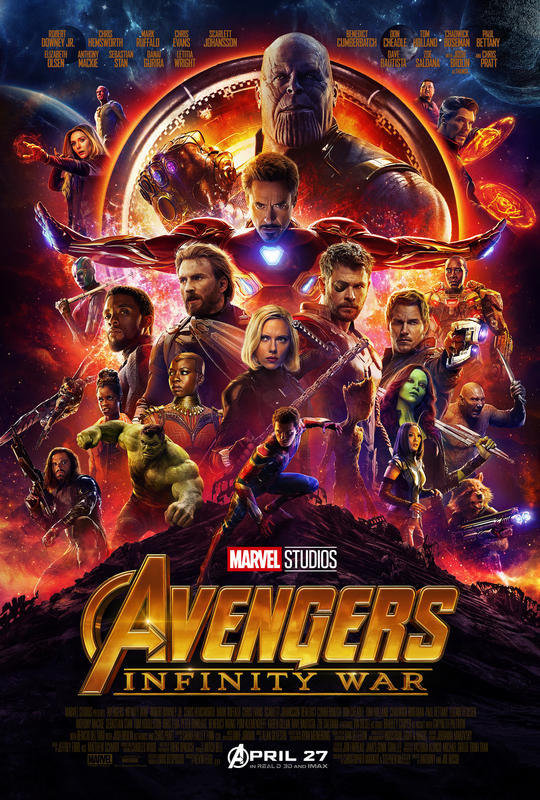 The ending, upon a second viewing, doesn’t really feel like it has stakes (though that may change next year), and some more character development would be much appreciated, but overall it accomplishes its goals and in context of what the film is trying to be, it succeeds in almost every way. This is an event film if there ever was one, and it is endlessly re-watchable. If you haven’t seen the film yet (and don’t kid yourself, yes you have), then what are you doing? Go. Now. Watch it. For my review of Anthony and Joe Russos’s Captain America: The Winter Soldier, click here.